Closets are for shoes and jackets and unused scuba gear. They are for cramming clutter into when company arrives, and storing cardboard boxes full of unused stuff. 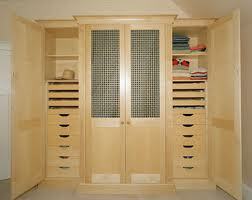 A closet is a room for what we put on to present ourselves to the world, and where we keep what no longer fits. It is no place to keep addiction. I am not suggesting that anonymity be compromised in recovery; on the contrary – it must be protected. Many, many people would never seek sobriety without all-important confidentiality being respected with the utmost care. But I do believe that it might be possible to become sober on one’s own, getting healthy in recovery requires the fellowship of others who have suffered similarly. The “safeness” of the closet is really just isolation. And no matter what your struggle, there are others who have survived it – thrived, even – who want to help you. There are others who know exactly where you are; you are never alone. They meet in community centers and church basements to drink coffee and talk about living life on life’s terms. They meet because each one of them can learn from the others. They come together on a regular basis to clear the spirit and mind clutter from the closets, to get rid of what no longer fits. These rooms are a place to dress in healthy surrender to God so that we can present ourselves to the world as his broken but fully redeemed kids. And one of the tenants that helps keep our recovery going is the duty to offer a hand to help others out of the addiction closet. A nice reminder that we do indeed need each other!! !